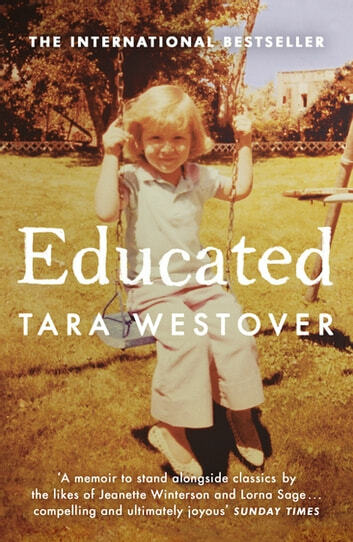 Tara Westover and her family grew up preparing for the End of Days but, according to the government, she didn’t exist. She hadn’t been registered for a birth certificate. She had no school records because she’d never set foot in a classroom, and no medical records because her father didn’t believe in hospitals. As she grew older, her father became more radical and her brother more violent. At sixteen, Tara knew she had to leave home. In doing so she discovered both the transformative power of education, and the price she had to pay for it. A very powerful and intensely thought provoking read.Will read it again to clarify some of the detail. Very well written book about a religion that is hardly from this time anymore and what it does to a child and her relationship with her family. Heartbreaking, unbelievable but what a great book! Westover's memoir is a compelling read, told with the diffidence a childhood lived separately from what we think of as the real world imbues. Her amazing struggle to both come to terms with, and to overcome, her upbringing in a deeply religious family is told with empathy and a rare understanding. A well written book by a strong and courageous woman.